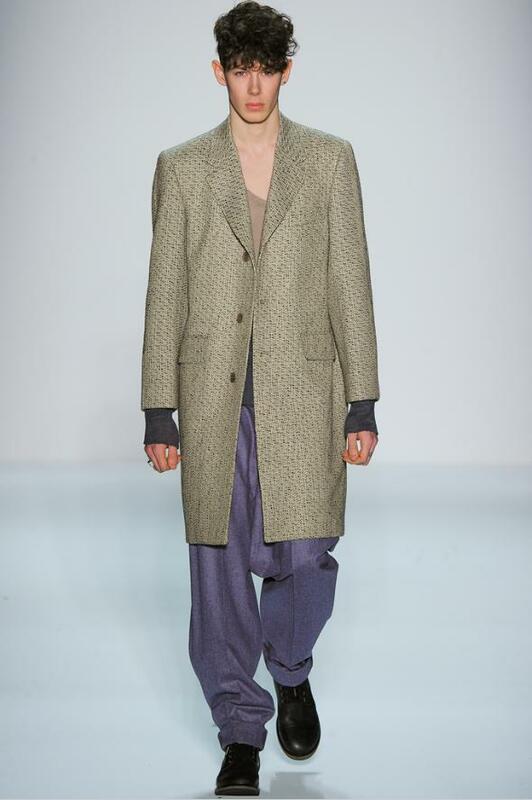 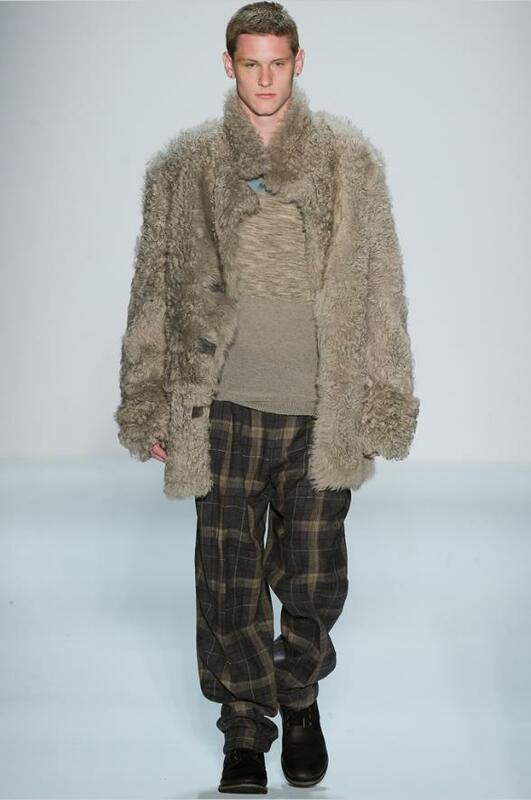 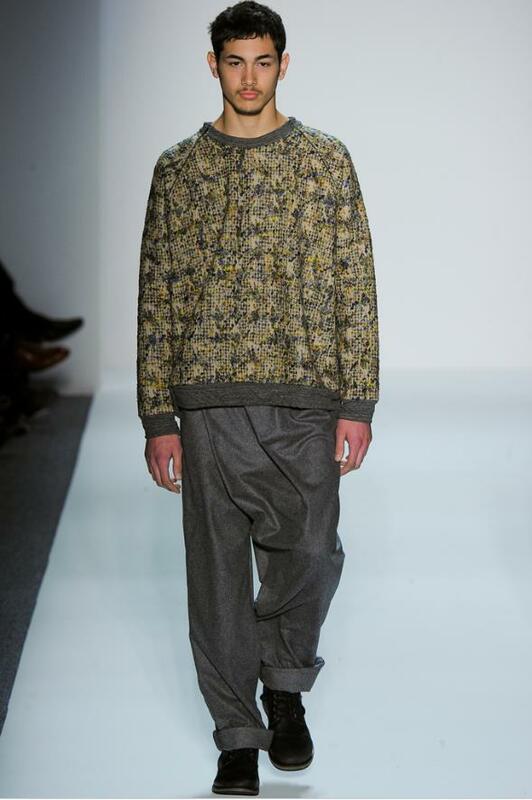 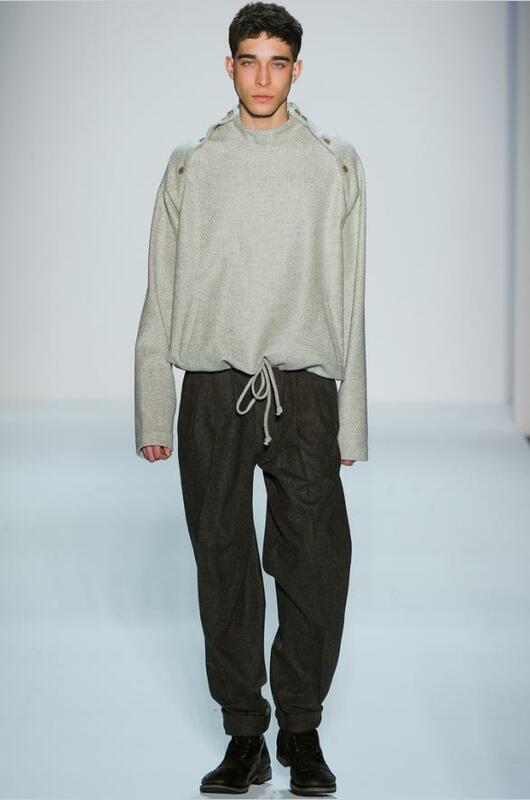 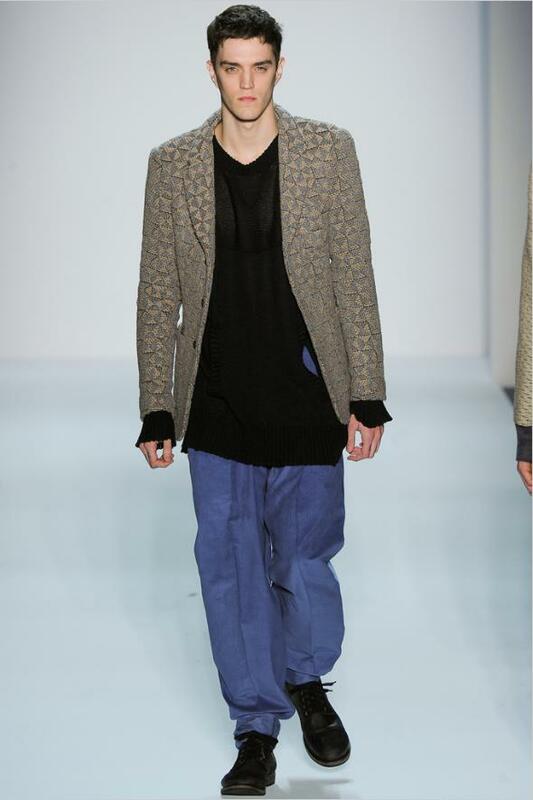 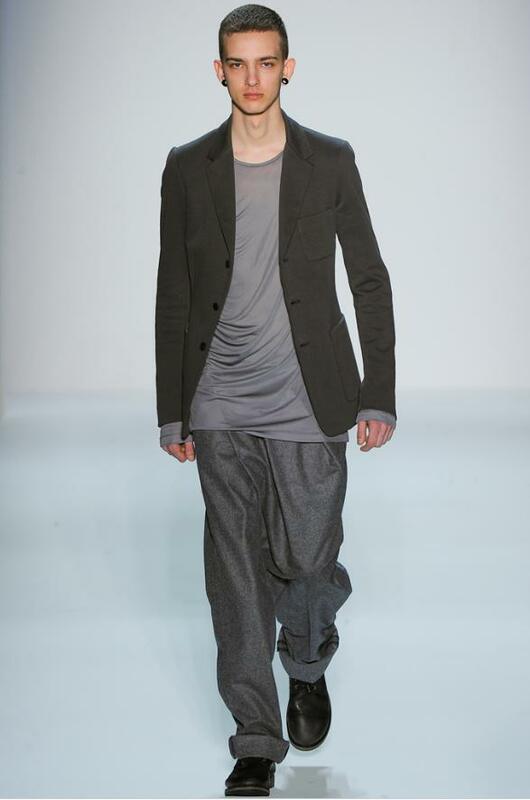 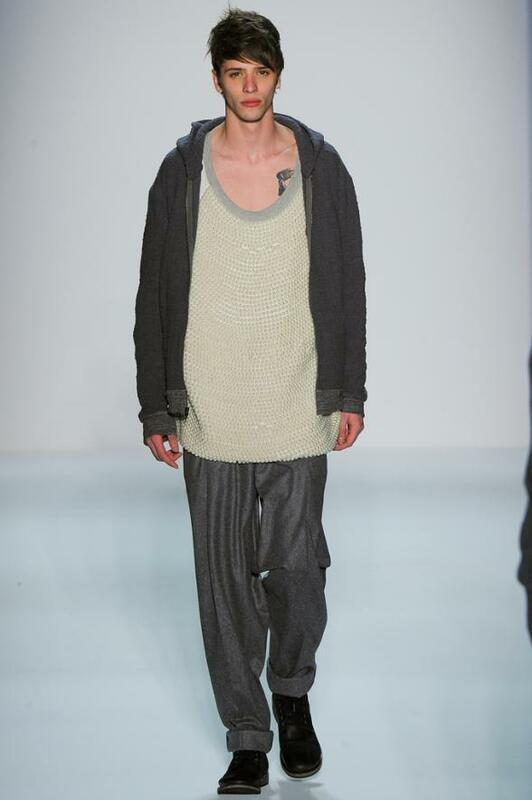 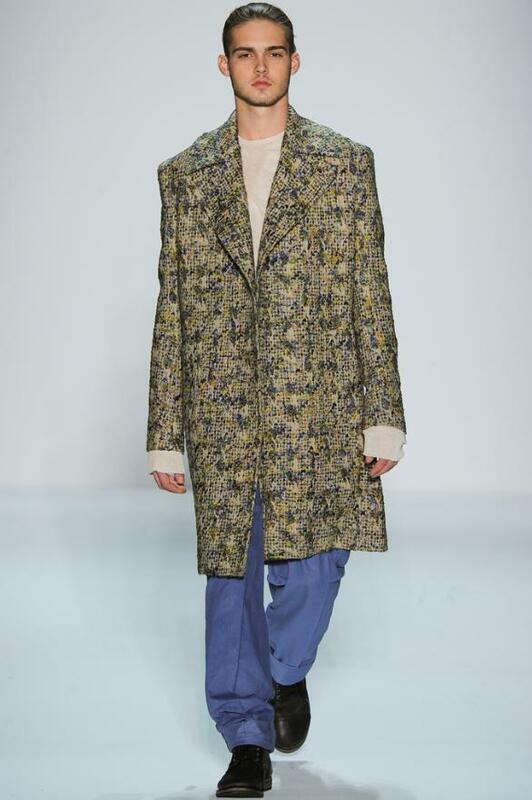 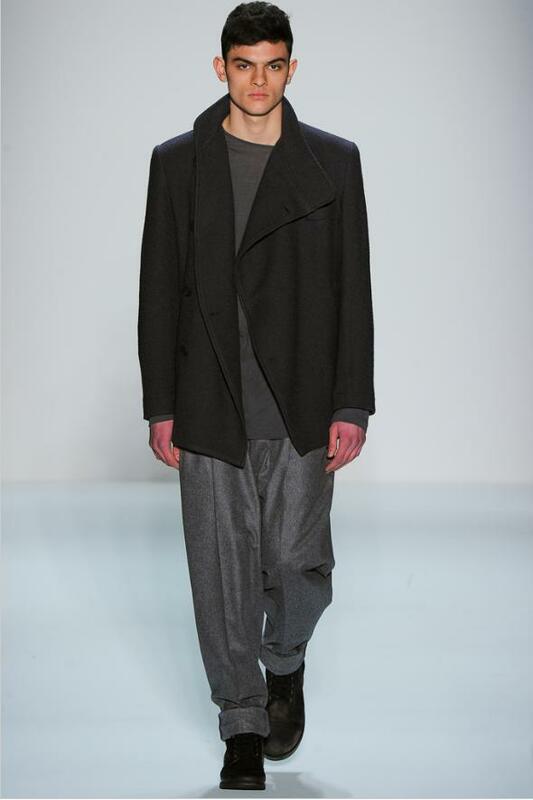 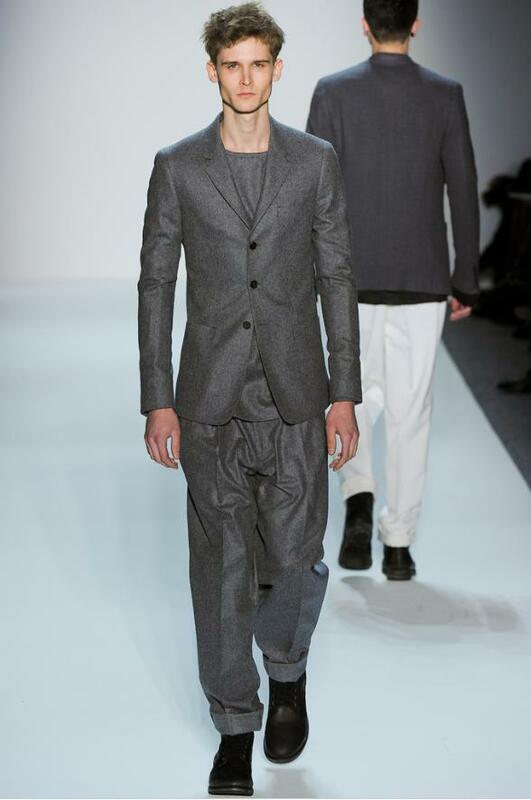 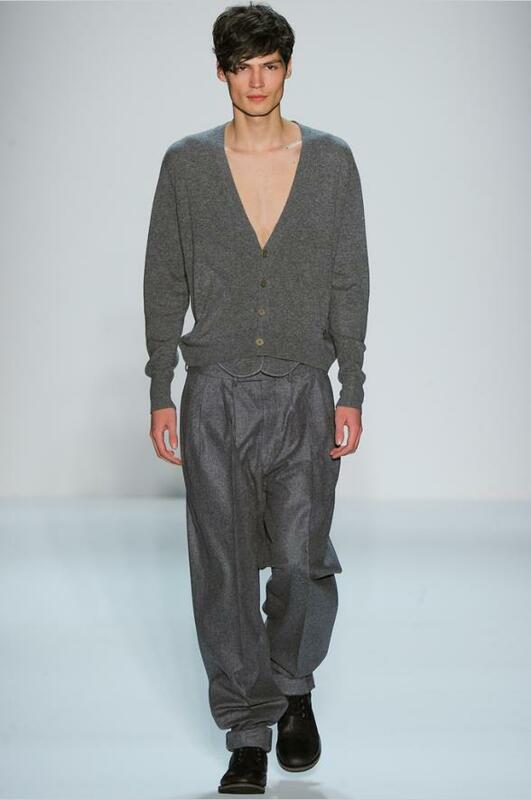 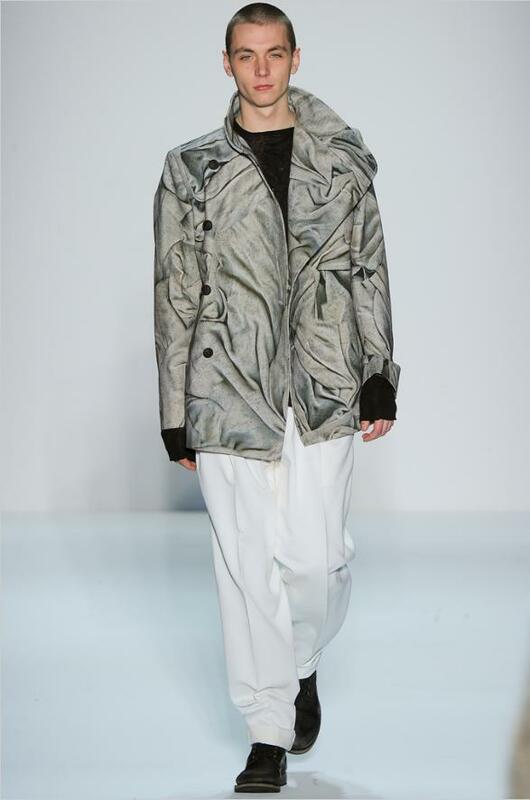 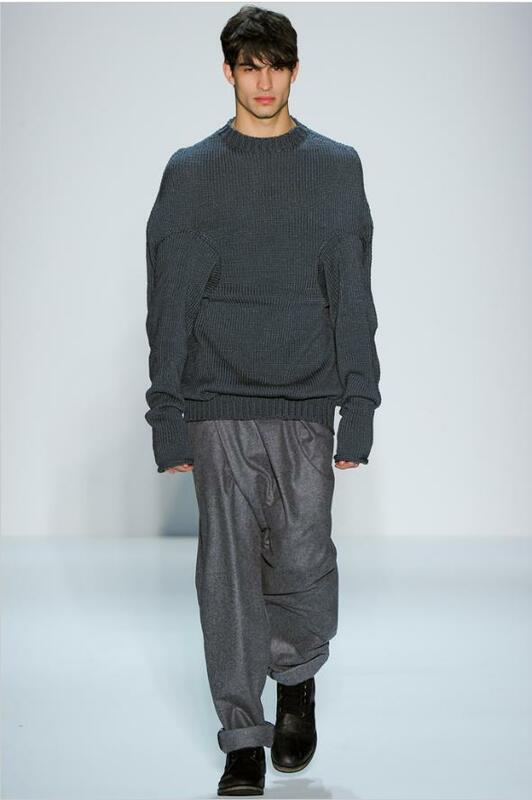 Designer Steven Cox and Daniel Silver of the famous label Duckie Brown plays with volume and proportion this season. 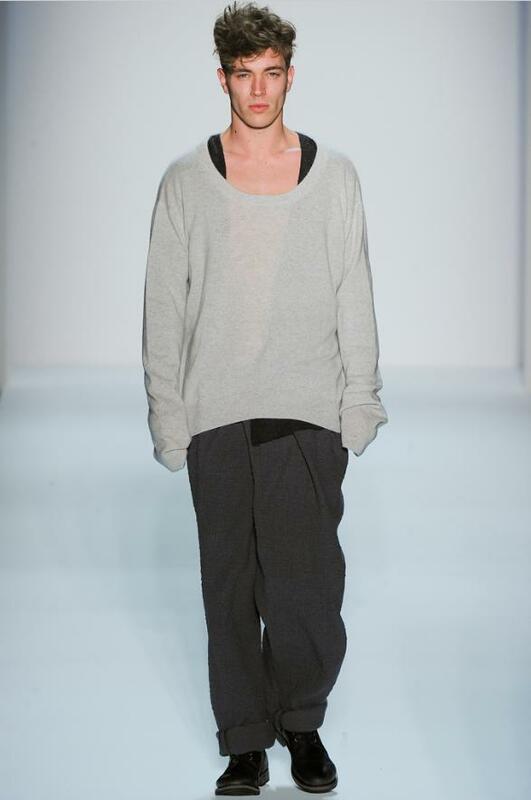 The pants were long slung, draped and pleated. 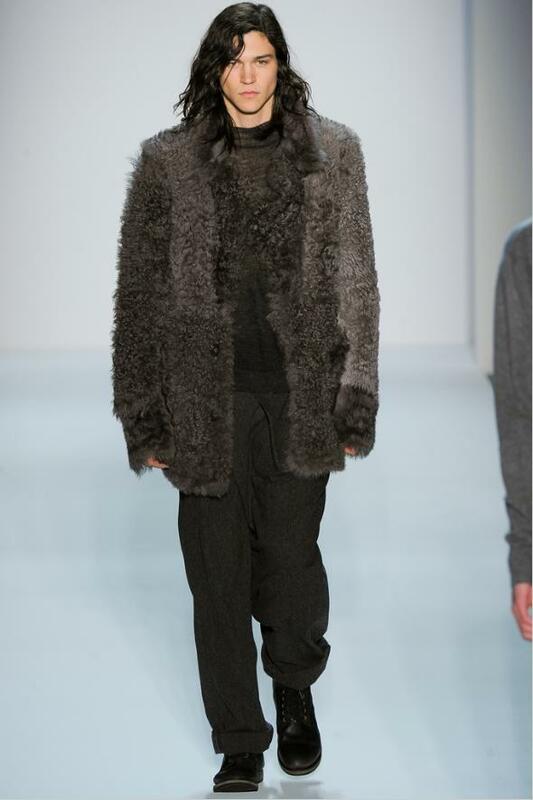 The fur coats reminded me of Moscow hipsters. 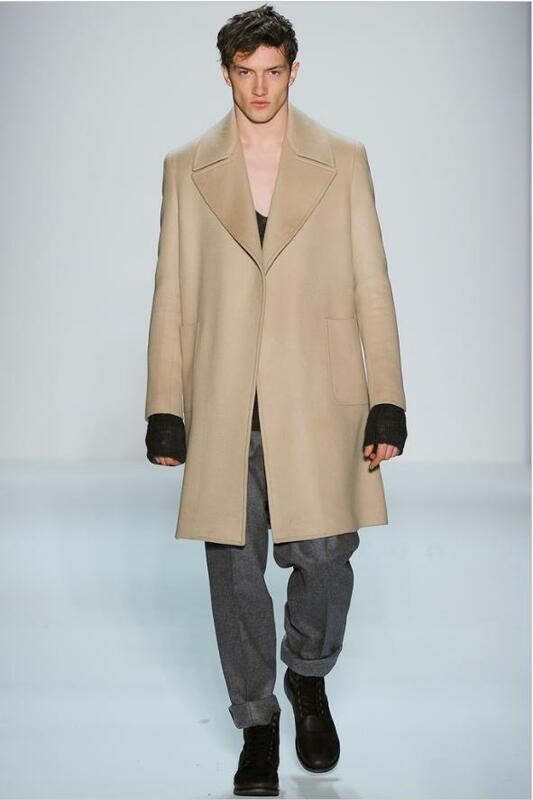 My favourite is the beautiful cashmere coat worn by model Jason Coupe.